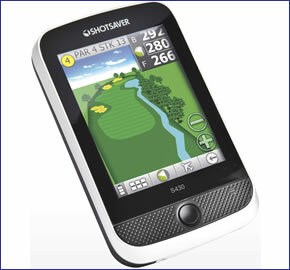 Snooper Tour Pro Shotsaver S430 waterproof GPS golf range finder with a large 3.5-inch sunlight readable display. Snooper Shotsaver Tour Pro S430 is preloaded with over 4,500 golf courses across UK and Europe whereby you can view the whole golf course so you know the green even if you have never played there before. No download fees and no subscription charges! Snooper Shotsaver Tour Pro S430 is sanctioned by both the PGA and R&A for professional competition. Carry Snooper Shotsaver Tour Pro S430 in your pocket or mount it easily and conveniently on the specially designed FREE (included) golf trolley bracket. In addition a unique power cable is also available as an optional extra so that you can power your Shotsaver directly from the battery of any electrically powered golf trolley. Snooper Shotsaver Tour Pro S430 GPS Range Finder has been discontinued. Snooper Tour Pro S430 GPS Golf Range Finder will guide you around all golf courses throughout the UK and Europe which is over 4,500 golf courses. You can get a 'Hole View' in 2D and 3D whereby you can view the complete golf course or zoom in to a particular part of the golf course. Knowing the golf course, you can save shots and thus lower your handicap. No subscription is required and there are no download fees. Plus you can mount the Snooper S430 Golf GPS to a golf trolley and it is also waterproof. It has a rechargable battery too. The Snooper Tour Pro S430 GPS Golf Range Finder has a 3.5-inch full colour sunlight readable display which is also touchscreen. 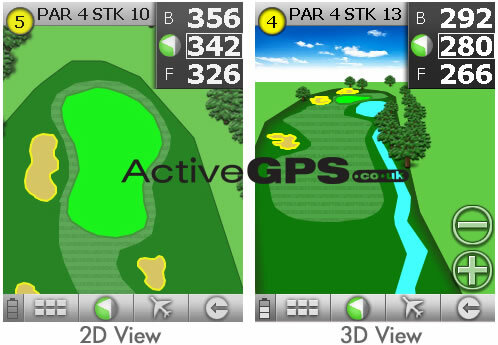 It is preloaded with golf courses around UK and Europe which feature the maximum detail and accuracy. You will know the exact distances on the green from the front to the centre and back of the green. This Snooper Golf GPS also provides distances to many other hazards such as bunkers, trees, streams, lakes and ponds.Improve you golf score and course management with Tour Pro Flyover Technology. You will be able to commit to each shot knowing the details of the golf course even if you have never played there before! The battery life is up to 6 hours with the backlight permanently on. You can maximise the battery life to 11 hours by using the 'backlight off' feature which can be set to either 1 minute, 30 seconds, 20 seconds or 10 seconds. Additional, sleep mode can extend battery life to sleep mode whereby the screen will go blank after 2 minutes. Download new course with ease for FREE as they become available from Snooper. The capacity of the Snooper Shotsaver Tour Pro S430 is 20,000. Tour Pro Lay-Up Technology enables you to tee peg to pin-point to decide where you want to land your ball. Snooper Tour Pro S430 will calculate the distance to this point and then calculate from the point to front, centre and back of the green. Auto zoom and auto rotation and view where you are on the green. Lay-up or take on the flag and get detailed overhead view and plan the best route to the flag. You can also record every distance with all clubs used and record position of where ball is hit from and where the ball lands - you can then view all clubs and distances hit and view shortest, longest and average too. Electronic scorecard for up to 4 players is also included. Simply enter name, handicap, score of each hole and the Snooper Golf system will calculate net score and Stableford score. You will then be able to concentrate on playing golf. 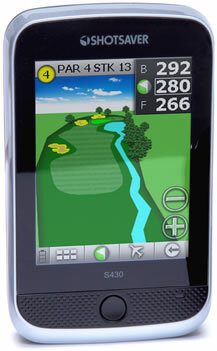 The capacity of the Snooper Tour Pro S430 Golf GPS Range Finder is 20,000 golf courses. It is also possible to add street level satellite navigation and speed camera detection to your Snooper Shotsaver Tour Pro S430 as an optional extra. With Snooper's pocket navigation software you can use the Snooper Shotsaver S430 in your car as well as on the golf course! Snooper sat nav and speed camera detection software is supplied on a microSD card and can be installed in seconds. Simply slide the microSD card in to the microSD card slot on the underside of the Snooper Shotsaver Tour Pro S430 and you are ready to go! ‣Over 4,500 golf course across UK and Europe preloaded. 20,000 capacity for additional golf courses. ‣Battery life of 6, 11 or 16 hours depending on mode used (backlight on, backlight off, sleep mode). Snooper Shotsaver S430 can also provide advanced warning of all fixed speed cameras, SPECS and many laser sites using Snooper's AURA speed trap database. There are 3 easy ways to pay by Futurepay automatic payment system by credit or debit card. All payment packages provide unlimited access to the AURA Worldwide speed trap database! The only database to include 100% verified data collated and inspected by our professional data collection team. Minimum subscription period 12 months. Data downloads are carried out via the internet using the download software supplied. In order to update the Snooper Shotsaver S430 golf course or optional safety camera database you will require a PC with Windows 2000, XP or Vista system software and have Internet access.